Visitors to the Hartley Botanic trade exhibit at the RHS Chatsworth Flower Show were treated to a wonderful variety of planting as well as some greenhouse gardening nostalgia. 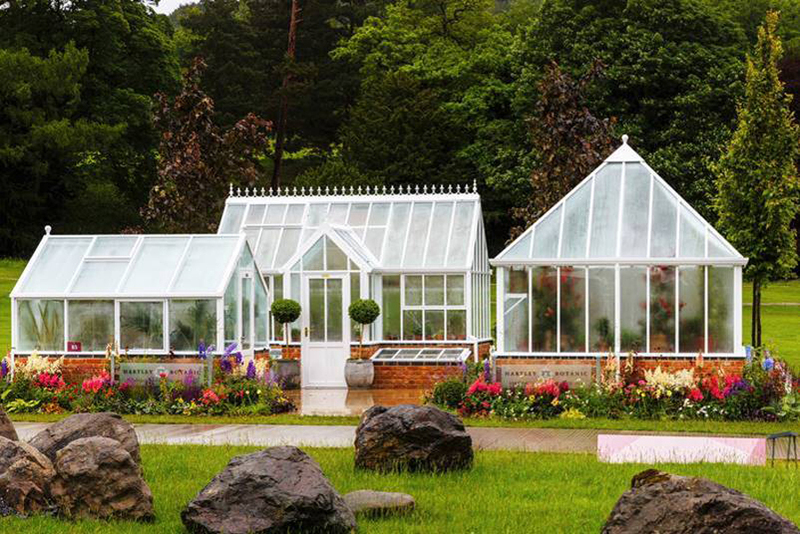 Hartley Botanic is the RHS’ recommended aluminium greenhouse and glasshouse supplier and was awarded a five star tradestand award for the exhibit. The stand featured five of Hartley Botanic’s handmade greenhouses and glasshouses (including a vintage structure from the 1950’s.) They were awarded a five-star tradestand award for the exhibit. The award follows the five-star tradestand award at the RHS Chelsea Flower Show and is a tribute to the exhibitor as together with design partner Base Squared, they had to battle the elements (and apparently a couple of ducks) to create the stand. Sadly, the weather was not kind to RHS Chatsworth but everyone overcame the wind and the rain to build magnificent stands and gardens nevertheless and it didn’t diminish from the enjoyment of this great show. 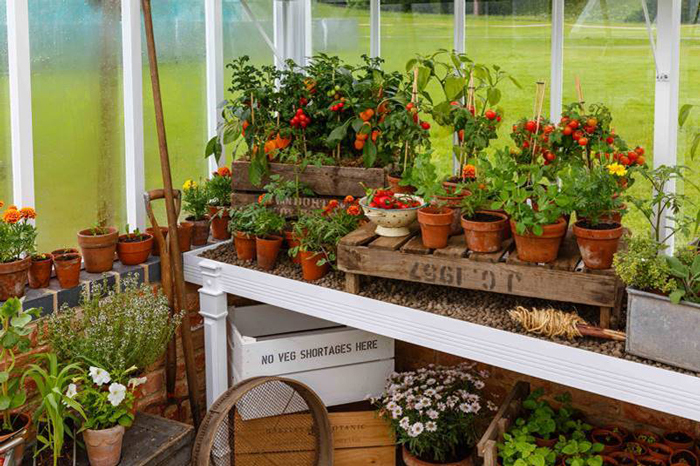 A white Hartley Botanic Victorian Villa glasshouse, rammed full of different types of edible plants gave the feel of a functional working greenhouse and how it would have been used in the 1950’s as well as how we still use greenhouses today. Also featured was a greenhouse designed and built by the company in the 1950’s and still in excellent working order. This added to the stand’s vintage, nostalgic feel and also illustrated the quality and longevity of a Hartley Botanic structure. Planting in the greenhouses was really special so we have included the Hartley Botanic – Plant List.